Todd Ulrich submitted this photo and caption. 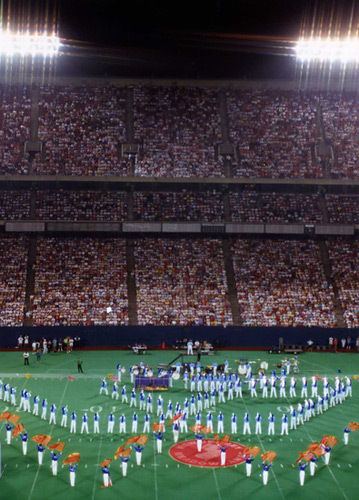 This shot was taken at the Cadets show in the Meadowlands during their 1989 show. I was looking for a different perspective of the show and went around to the upper deck backfield to take the image.